Synopsis: Rediscover the joys of being created in God's image, and nurture your own creative spirit! 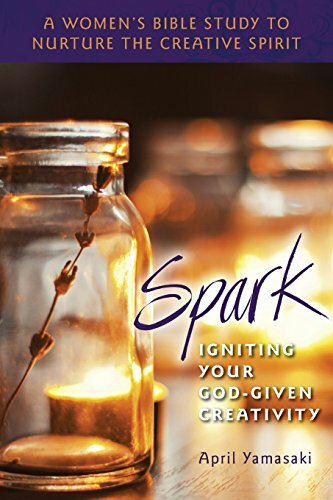 Spark: Igniting Your God-Given Creativity thoughtfully takes you deep into the Bible and unpacks stories of God's creative Spirit at work. Twelve easy-to-use sessions help you connect with God-the source of our creativity. The sessions artfully bring biblical texts to life, encouraging you to uncover, develop, and embrace the gift of your own creativity. Spark, commissioned by Mennonite Women Canada and Mennonite Women USA, is the perfect resource for women's gatherings, Sunday school groups, or individual reading and inspiration. 72 Pages.